A cake of soft, fresh, creamy white cheese made with sheep’s milk from Lazio. Inspired by the principles laid out in Adi Boni’s beloved ‘Il Talismano della Felicita’, Da Enzo aims to create simple but delicious dishes using few ingredients. The focus here is to ensure that the ingredients they use are fresh, organic, and stay as close to the 0km rule as is possible in Rome. Fresh ricotta was on the blackboard under Da Enzo’s list of specials that day, so I ordered it as an appetizer. 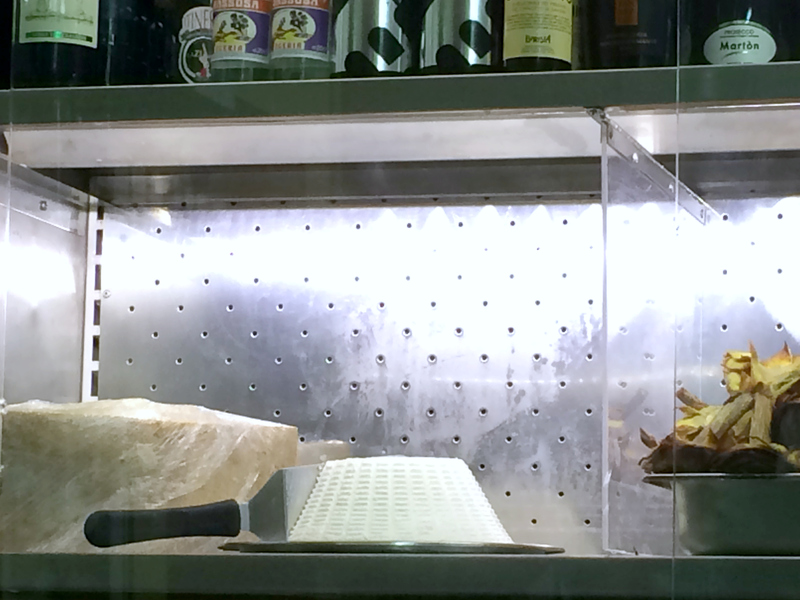 I had seen the beautiful white cake of fresh cheese sitting in the cold display when we entered the restaurant and knew I had to have some. I have never had cheese that tasted so fresh. It literally melted in my mouth. It was delicious enough to eat alone, and also tasted fantastic when added to a bite of anything sweet or savory on our table. For the most part we just savored the decadent taste on it’s own. 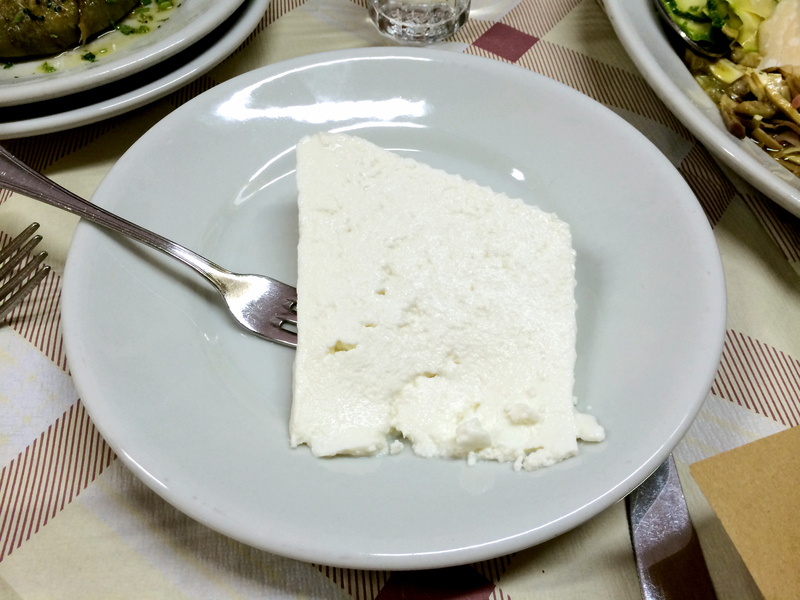 Ricotta is a soft Italian whey cheese that is made from the milk whey that is left over from the production of other cheeses. It is typically made from sheep or goat’s milk, but sometimes from cow or the milk of Italian water buffalo. The curds are typically a creamy white color and have a slightly sweet taste. Ricotta is always such a pleasure to eat. I love it too! It is definitely one of my favourites! first mozz, now ricotta. Oh what a wonderful time you had. so pretty sitting on the metal counter. Love the ridges. I do too! I wonder if there is a functional reason for those..